I will admit that I just took down a very small Dept. 56 Christmas village that had been on my mantle since just after Christmas. Don’t judge. It didn’t really look Christmasy, but more wintery, alright? I dragged out the Easter decor in hopes of finally getting a spring vibe around here, though the weather just doesn’t want to comply. Four to nine inches of the white stuff is expected to fall overnight and the snowblower is out of gas. 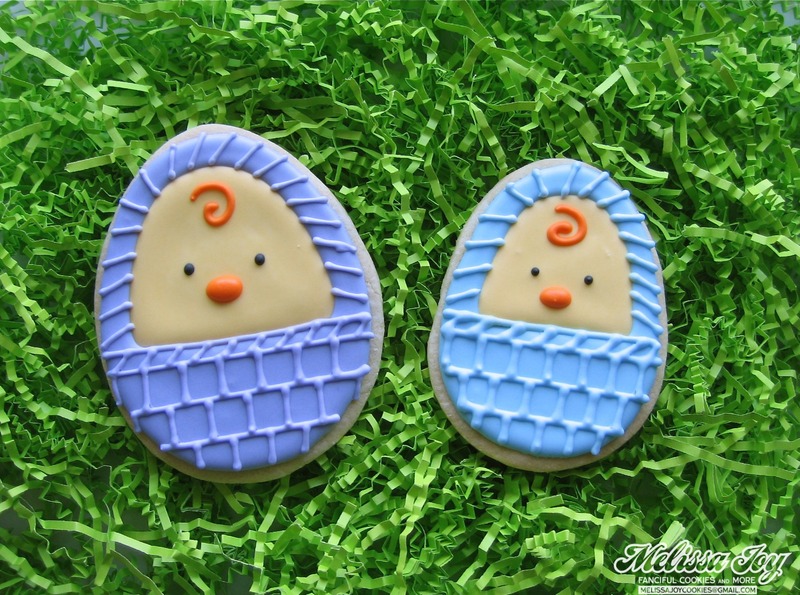 He was a new bunny last year and I got the design of these chicks from a greeting card. They were pretty easy to frost and like I’ve said before, sometimes easy is good! 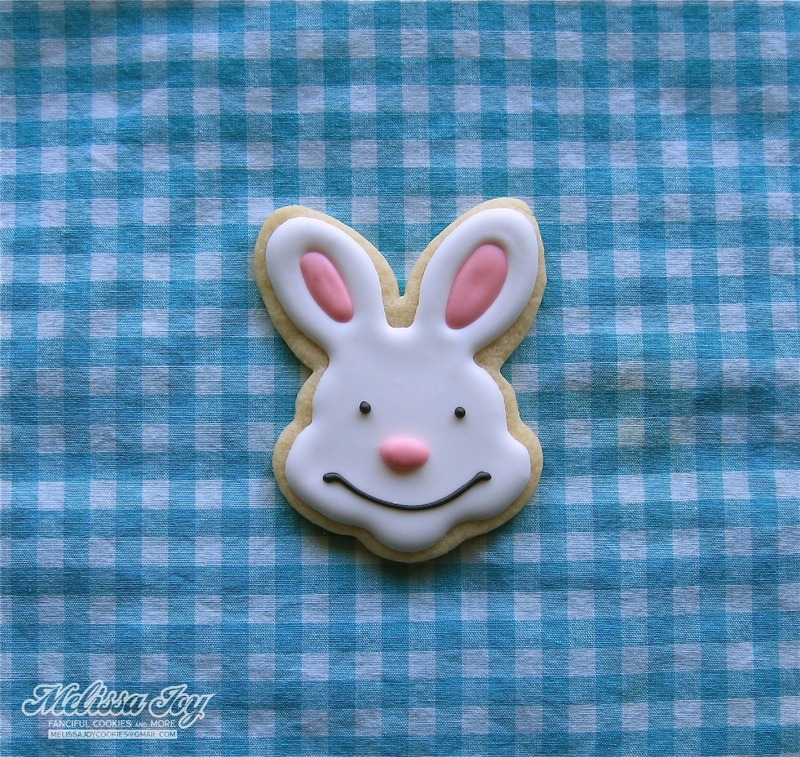 One of my favorites to make is this old fashioned bunny with a basket. I’ve had the cookie cutter for so long, I forgot where it even came from. It’s copper and lovely though. Now that I’m looking at him, I think he might need a little makeover. 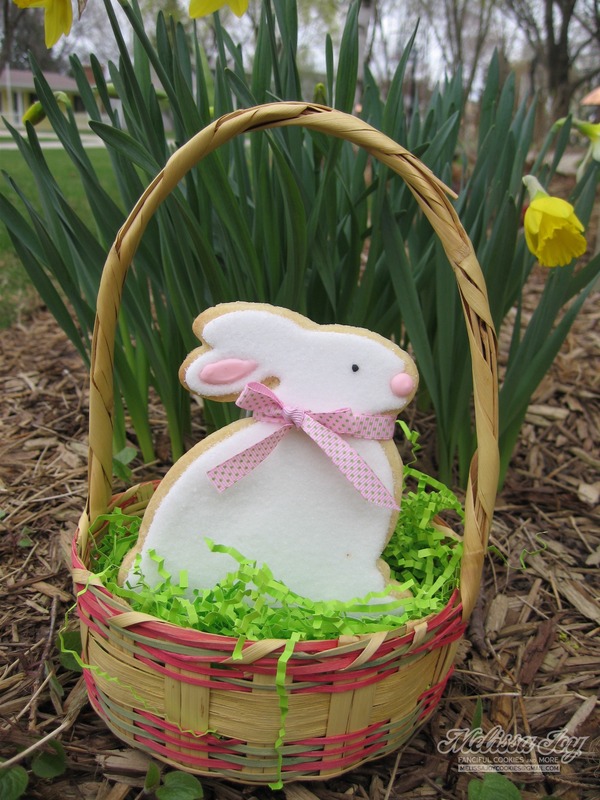 My other obsession for a while was collecting old Easter baskets like the one I used as a kid. I found out just how many I had acquired when I packed them up for our move across the state last summer. Yikes. Well, I’m just going to keep scouring holiday stickers and magazines and decor until I find something to make into a new-to-me cookie idea, although I’m sure to do a couple repeats as well. 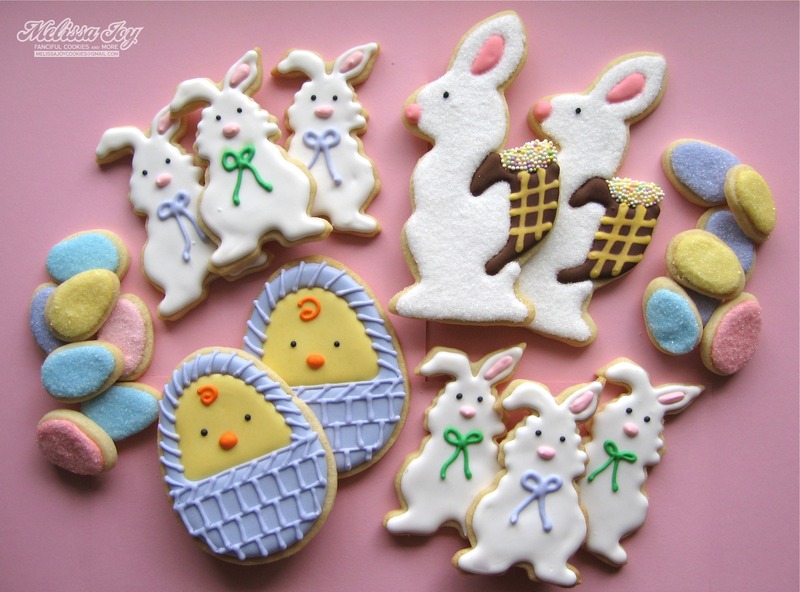 On the agenda tomorrow is baking St. Patty’s Day cookies for the kid’s classrooms, but I am ready for chicks, bunnies and eggs. And while I’m brainstorming for Easter, I’ll just keep watching for a few blades of green grass to start peeking through the snow. 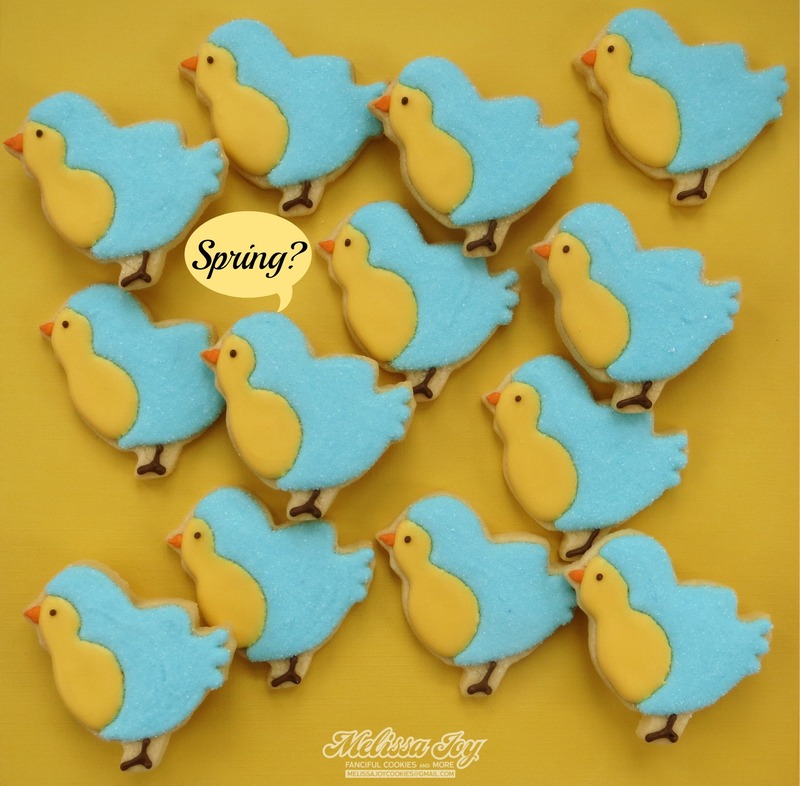 This entry was posted in Easter Cookies, For Fun Cookies, Spring Cookies, Uncategorized and tagged bird cookies, bunny cookies, chick cookies, easter baskets, easter cookies, spring cookies. Bookmark the permalink. 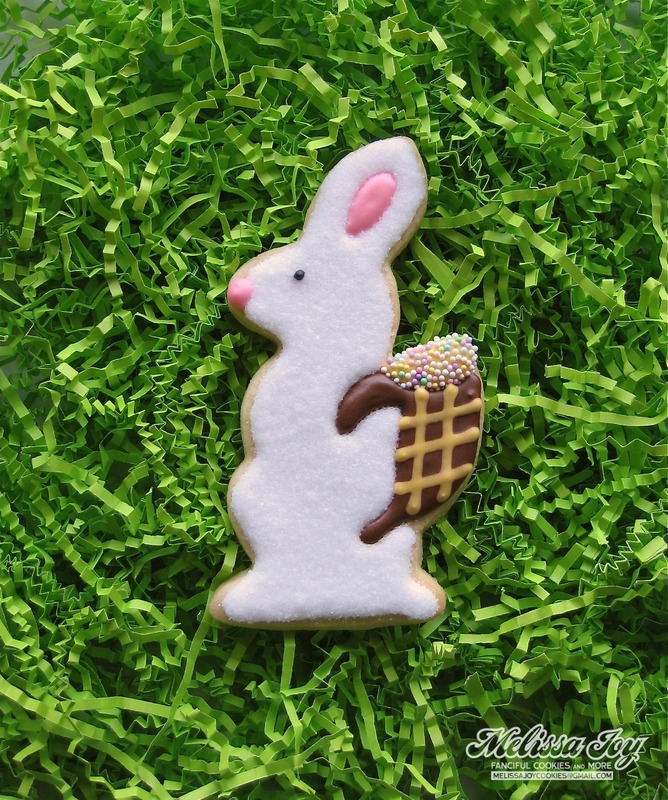 I love all of the bunnies! Spring will come eventually…right?!? Hope you find something fun to spark your latest creation! Gorgeous as always!